PRIZE-WINNING COMPETITION - Find an appropriate slogan to criminalize all those who work in a locked psychiatric ward after 1/1/2009! 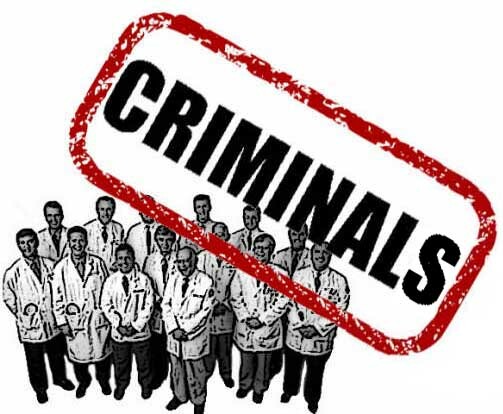 Find an appropriate slogan to criminalize all those who work in a locked psychiatric ward after 1/1/2009! From 1/1/2009 onwards, most countries will ratify* the UN convention of the rights of persons with disabilities, which prohibits the deprivation of liberty and bodily harm also of people who are slandered as being "mentally ill". We take it for granted that in these countries, according to the UN-Office of the High Commissioner for Human Rights, the mental health laws allowing the use of force will become illegal and therefore from 1/1/2009 the violent acts of the psychiatric staff and all others who work in a locked psychiatric ward become a crime and these people should therefore be declared to be criminals. 3. All entries must reach the above address by midnight on January 12th, 2009. 4. The next General Assembly of IAAPA on Tuesday, 13th of January 2009 by majority vote will make a pre-selection by excluding entries deemed to be not interesting enough. 5. The remaining entries will be made public on this website on January 14th, 2009. 6. For one month up to February 14th, 2009, these entries will be open to voting by the general public over the internet - details of the exact procedure see here. 7. The author of all entries agrees to renounce all copyright claims to his/her slogan against IAAPA. 8. The author of all entries agrees to have his/her name published. However, on his/her request their entry can be posted anonymously with an "artist name" suggested by the author. 9. The decisions of IAAPA concerning the winning entries are final and cannot be contested in court.